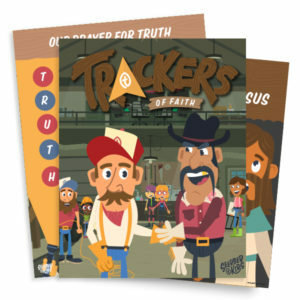 The Classroom Kit represents everything required for one classroom to execute the lessons in Trackers of Truth (with the exception of activity materials). 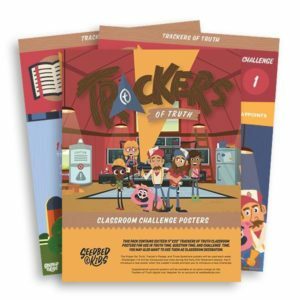 In addition to the Classroom Kit for each part, each student needs Activity Sheets to go with that kit (purchased separately). 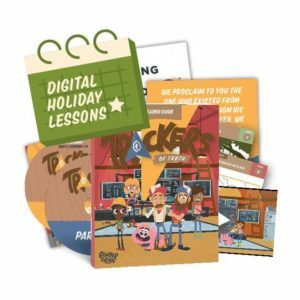 Note: Your Classroom Kit order also authorizes any teacher or parent within your church to access all the worship music, animated videos, and the Farm Talk Podcast free of charge by creating an account on the Digital Hub.